A cholecystectomy is the surgical removal of the gallbladder. The two basic types of this procedure are open cholecystectomy and the laparoscopic approach. It is estimated that the laparoscopic procedure is currently used in approximately 80% of cases. Learn more to know how much does it cost for gallbladder surgery on our website. Get in touch with us to know the Cost of Laparoscopic Gallbladder Surgery in India. In a laparoscopic cholecystectomy, four small incisions are made in the abdomen (A). The abdomen is filled with carbon dioxide, and the surgeon views internal structures with a video monitor (B). The gallbladder is located and cut with laparoscopic scissors (C). It is then removed through an incision (D). The laparoscopic cholecystectomy involves the insertion of a long, narrow cylindrical tube with a camera on the end, through an approximately 0.4 in (1 cm) incision in the abdomen, which allows visualization of the internal organs and projection of this image onto a video monitor. Three smaller incisions allow for insertion of other instruments to perform the surgical procedure. A laser may be used for the incision and cautery (burning unwanted tissue to stop bleeding), in which case the procedure may be called laser laparoscopic cholecystectomy. Send us query to know the gall bladder stone surgery cost in India. The best surgeons for laparoscopic cholecystectomy surgery in India are well-qualified and trained in performing the surgery by keeping in mind the utmost patient safety and care. They have extensive experience and skill in performing the surgery such that the outcome is successful. Get an appointment with the best doctor for gallbladder surgery in Delhi on our website. How many laparoscopic cholecystectomy surgeries have you performed? What were the outcomes of the surgeries? What kind of experience does your surgical team have? The top hospitals for laparoscopic cholecystectomy surgery in India have highly capable, experienced and dedicated professionals who offer best in class systems, practices and processes. These hospitals have patient centric designs which stress on the safety and comfort of the patients and also focuses to minimize the risk of infection. Our best hospitals for laparoscopic cholecystectomy surgery in India is equipped with the latest technology and infrastructure which is supported by an experienced team of surgeons who ensure to provide comprehensive care and compassion to the patients seeking this surgery. Check out the gallbladder surgery cost in Mumbai by sending us your inquiry on our website. You can also book the low gall bladder stone surgery cost in Kolkata on our website. The top 5 hospitals for laparoscopic cholecystectomy surgery in India are Fortis Healthcare Hospital, Gurgaon, Chennai, Hyderabad, Max Healthcare Hospital, New Delhi, Columbia Asia Hospital, Ahmedabad, Pune, Global Hospitals Hyderabad, Mumbai and Asian Heart Institute, Mumbai, India. Laboratory blood analysis often finds evidence of elevated bilirubin, alkaline phosphatase, or aminotransferase levels. Ultrasonography, computed tomography (CT) scanning, and radionuclide imaging are able to detect the impaired functioning of bile flow and of the bile ducts. Find out the gall bladder stone removal surgery cost in Delhi by contacting us. As with any surgical procedure, the patient will be required to sign a consent form after the procedure is explained thoroughly. Food and fluids will be prohibited after midnight before the procedure. Enemas may be ordered to clean out the bowel. If nausea or vomiting are present, a suction tube to empty the stomach may be used, and for laparoscopic procedures, a urinary drainage catheter will also be used to decrease the risk of accidental puncture of the stomach or bladder with insertion of the trocar (a sharp, pointed instrument). 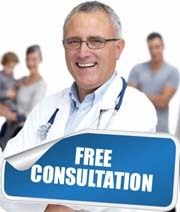 Fill up our free consultation form to know the gallbladder removal surgery cost in Chennai. Care received immediately after laparoscopic cholecystectomy is similar to that of any patient undergoing surgery with general anesthesia. A unique postoperative pain may be experienced in the right shoulder related to pressure from carbon dioxide used in the laparoscopic tubes. This pain may be relieved by lying down on the left side with right knee and thigh drawn up to the chest. Walking will also help increase the body's reabsorption of the gas. The patient is usually discharged the day after surgery and allowed to shower on the second postoperative day. The patient is advised to gradually resume normal activities over a three-day period, while avoiding heavy lifting for about 10 days. Want to know the gall bladder stone surgery cost in hyderabad? Then fill the free consultation form on our website and our executives will get back to you for further interaction. What is the Cost of Laparoscopic Cholecystectomy Surgery in India? Acute cholecystitis usually improves following conservative therapy in most patients. This conservative therapy involves the withholding of oral feedings, the use of intravenous feedings, and the administration of antibiotics and analgesics. This is only a short-term alternative in hospitalized patients. Most of these patients should receive cholecystectomy within a few days to prevent recurrent attacks. In the short-term, patients often receive narcotic analgesics such as meperidine to relieve the intense pain associated with this condition. Patients who have evidence of gallbladder perforation or gangrene need to have an immediate cholecystectomy. In patients with cholelithasis who are deemed unfit for surgery, alternative treatments are sometimes effective. These individuals often have symptom improvement after lifestyle changes and medical therapy. Lifestyle changes include dietary avoidance of foods high in polyunsaturated fats and gradual weight loss in obese individuals. Medical therapy includes the administration of oral bile salts. Patients with three or fewer gallstones of cholesterol composition and with a gallstone diameter less than 0.6 in (15 mm) are more likely to receive medical therapy and have positive results. The primary requirements for receiving medical therapy include the presence of a functioning gallbladder and the absence of calcification on computed tomography (CT) scans. Other non-surgical alternatives include using a solvent to dissolve the stones and using sound waves to break up small stones. A major drawback to medical therapy is the high recurrence rate of stones in those treated. If you are really seeking for the Low Cost Laparoscopic Cholecystectomy Surgery in India, kindly fill up the form for a free consultation by our surgeons. You will be provided with thorough analysis and suggestions regarding Laparoscopic cholecystectomy surgery in India you are seeking for.